In 2017, two separate hurricanes, Irma and Maria, struck the Caribbean. Hurricane Irma (which lasted from 31 August until 11 September) spent three days as a Category 5 hurricane – the longest period a hurricane has been reported at that intensity since satellite records began. A few days later, Hurricane Maria hit the island of Dominica with winds of up to 165mph, continuing to wreak havoc on the region for a further three days. The estimated damage of the two combined hurricanes is $155 billion, with thousands of reported fatalities. The Caribbean has long been established as a favourite winter cruising ground for yachting, but in light of the damaged infrastructure and reports of issues on land, some yachts chose to stay away from the region in the winter cruising season. However, many in the industry are of the view that as the Caribbean has been such a huge part of yachting, the market should play an active role in helping with its recovery. What is your experience of the Caribbean as a cruising ground in light of the devastation wreaked on it last year? Do you believe yachting has a responsibility to support the region, and would you return there in the near future? Absolutely yachting has a responsibility; the 2017 events were a huge wake-up call to the yachting community and saw many vessels, companies and organisations pull together to support the Caribbean cruising grounds that have given our industry so much. The yachting community needs to continue to be proactive in our duty of care as global citizens, and for that reason YachtAid Global has facilitated the YachtingPledge. This is an initiative, launched on 1 September, that is a social and environmental stewardship movement giving the yachting community the power to create effective change in the world around it. The 2017 Caribbean relief response by the yachting community saw more than 44 vessels deliver 325,000lb of aid to the Caribbean. That equates to 83,000 meals, 48,000 hygiene kits, 6,300 tools plus 60 chainsaws, 1,850 tarpaulins and 1,250 water filters – all sent to help some of the 40 million people on 15 islands in the Caribbean affected by Hurricanes Irma and Maria. This indicates that our industry is moving towards having more of a sense of duty to the world around it. As a former captain who has a great appreciation for the Caribbean, as well as other beautiful, but often vulnerable, cruising grounds of the world, I sincerely believe we all have a responsibility to support regions hit by natural disasters wherever we can. The magic of the islands took a hard punch last year but they are certain – over time – to rebound and reflourish. 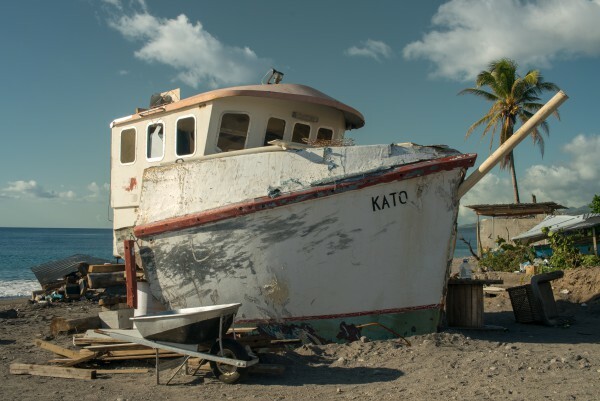 Already, the efforts in the British Virgin Islands are starting to bear fruit as bareboat fleets, restaurants and utilities in general are reopened. I will definitely return there in the near future to rediscover the many charms of El Caribe. The variety of experiences available in the region will ensure people will always want to visit. As a captain, I am frequently asked about which is the best place to charter in the Caribbean, and the usual I answer I give is as wonderfully diverse as the islands themselves. Do you want 365 beaches? Go to Antigua. Play golf? Then it’s St Kitts and Nevis. Casinos? Go to St Martin. Do you enjoy rainforest hiking? Go to Dominica. French charm and restaurants? Iles des Saintes. Scuba diving? Go to Saba. Do you like conch and want to experience the old-school Caribbean? Go to the Tobago Cays. And if you want sailing and the best overall seven days of charter, then it has to be the British Virgin Islands. We have been very much involved with the Caribbean because Sherakhan has successfully chartered in this area for many years. After the devastation, we couldn’t ignore the very important matter of spreading the knowledge of the beautiful places and thriving areas the Caribbean has to offer. In December 2017, we launched a Charter for Charity promotion, through which we would donate $20,000 to the Caribbean for each charter Sherakhan would do. We believe keeping yachting in the Caribbean is important for the islands to regain strength after the hurricanes. The beautiful scenery and, most importantly, the culture of the islands have not been affected by the hurricanes. The only parts in which reconstruction was noticeable was the rebuilding of the facilities and the logistics, which took a big hit. Now, for the 2018/2019 season, we cannot wait to show our clients how strong the Caribbean is and how ready she is to receive many yachts. Sherakhan will have an itinerary from St Lucia to Grenada; however, she is available and capable of cruising around the entire Caribbean. We all have seen the terrible images and videos of the devastating effect of Hurricane Irma in the Caribbean. I’ve been in the industry since 2010 and spent many winters in St Maarten. It is a beautiful island, with beautiful beaches, friendly locals and a great atmosphere. The locals were always ready to help us with everything we needed; from supplies to spare parts, they always tried to find a solution. Now I believe it’s time we returned this favour by helping to rebuild St Maarten to her former glory, to make her even better and stronger to survive the next hurricane. We all enjoyed some winters in the area, and were always happy to return to the Caribbean from a busy Mediterranean season. So I think we should definitely continue to go to the Caribbean and spend money, help where it is needed and support where we can. Personally, I will definitely go back to the area – most likely I will be there in December this year. This article originally appeared in The Crew Report.